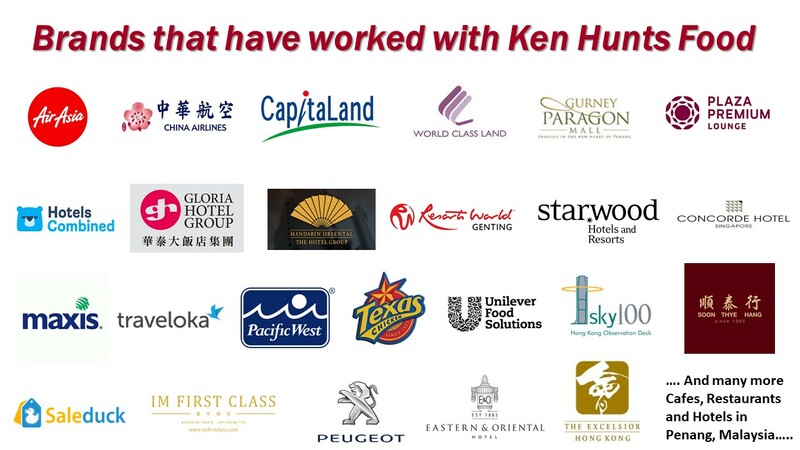 I'm known as Ken, the Chief Eating Officer of Ken Hunts Food and the blog is named after my name. If you must know... I'm 28 years old this year (Year 2018). Do check out the recipe blog I've created earlier ago when I was studying at Perth- Ken You Cook. I love eating and a passion to share those wonderful foods that I have found in Penang to others which was why I created this blog. Some of my favorite local Penang hawker foods are Curry Mee, Hokkien Prawn Mee, Lam Mee, Koay Teow Th'ng and Wanton Mee. No, I especially dislike Char Koay Teow, I don't even eat it once a year. I am a huge fan of Japanese food too, Sashimi and Ramen are always on my top list. A decision to control my weight has changed my lifestyle; I take oats over rice now, prefers Salad over Stir Fried Vegetables, I like Chicken Breast over Thigh/ Wings, I enjoy drinking Plain Water over Sugary drinks and I love foods full of fibers. Oh wait... I can't live without Chilies too! I believe food tasting is a very subjective manner, well, partially. It depends on the person himself whether he adores the food based on his personal opinion/exquisite taste buds. Past experience or personal liking can be a guidance, I would not say my ratings are perfect- some of you might find it the other way round, but all the ratings I have made were based on my personal liking and comparison with other food outlets. For example, I prefer restaurant A to restaurant B, higher ratings will be given to restaurant A instead. I do not have specific guidelines with me whenever I am rating a restaurant/food outlet, just my opinion on whether the food is good or not. The blog, Ken Hunts Food updates about any events, opening of restaurants, food eateries, travel or even fashion shows! But the focus shall be the good eats that can be found in the isle of Penang. The blog experienced a hard time due to some technical issues and had to change the website to the current one. Expect at least 8 posts a month to be updated on the blog. If you wish to follow the latest updates on my blog, kindly follow Kenhuntsfood Facebook Page and you may search for "Kenhuntsfood" on Instagram too where I will share some food news and latest updates which could not be published on the blog. You may personally private message me via the Facebook Page too if you wish to ask me some questions. If you wish to contact me for advertorials or food reviews, I can be reached at kenhuntsfood@hotmail.com or look up for more information at the "Contact Me" column. Lastly, I would like to take this opportunity to thank all my readers for the support over the years, especially with the recent increase in blog views. Year 2013- Achieved an average daily Unique Views of 1,000 (as at 31st of Dec 2013). Year 2014- Achieved an average daily Unique Views of 2,000 (as at 31st of Dec 2014). 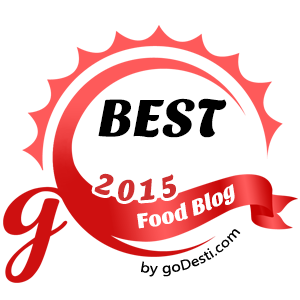 - Contributed a Mandarin article to Foodsion magazine as anonymous guest writer. - Invited as one of the guest speakers in Georgetown Literary Festival- Food Writing Today. Year 2015- Invited as guest host for Media Prima's program on NTV 7- Foodie Blogger. Year 2015- Invited to join a media trip to Bangkok, Thailand (courtesy of Tourism Authority Thailand Malaysia). - Filmed a short video for Georgetown Festival 2015 courtesy of Oxlaey. - Achieved an average daily Unique Views of 3,500 and average monthly views of 265,000 (as at 31st of Dec 2015). Year 2016- Accumulated 8 million views by July 2016. - Accumulated 9 million views by October 2016. - Published 1,000th article in November 2016. - Invited to join a media trip to Taiwan (courtesy of Taiwan Tourism Bureau Malaysia). Year 2017- Accumulated 10 million views by February 2017. 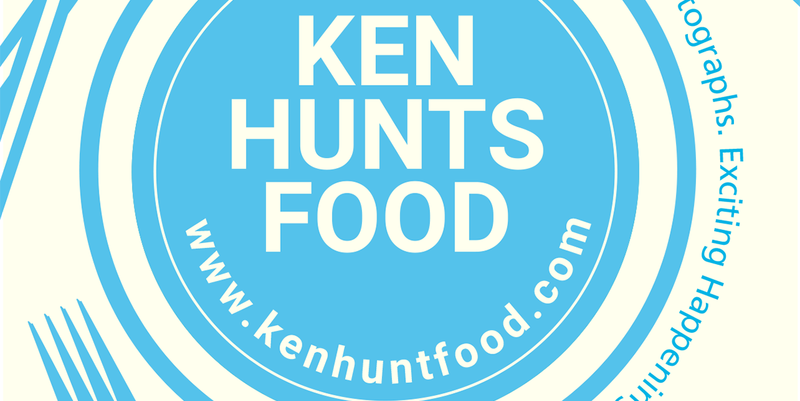 - Hit 20,000 followers on Ken Hunts Food Facebook Page by February 2017. - Hit 10,000 followers on Ken Hunts Food Instagram by March 2017. - Accumulated 11 million views by May 2017. - Published 1,200th article in September 2017. - Accumulated 12 million views by September 2017. - Appointed as One of the "Social Ambassadors" of Resorts World Genting.